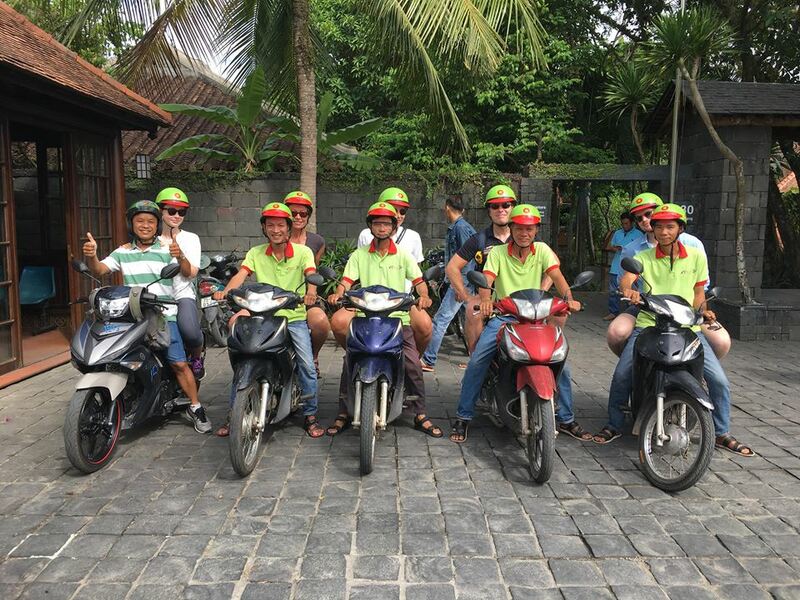 To begin with, in the morning our guide will come and collect you at the hotel in Hue and we will start our hue motorbike tour. 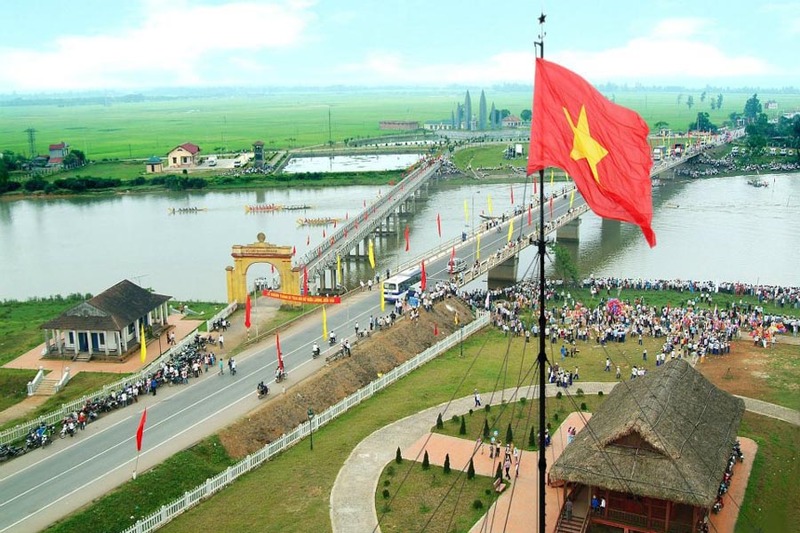 So, Hue was the ancient capital city of Vietnam from 1802 till 1945 in the Nguyen Dynasty. 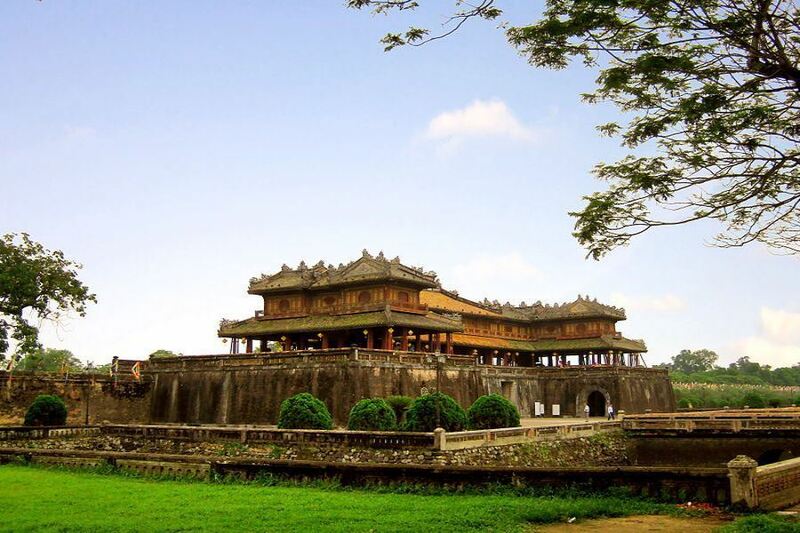 They had chosen Hue as the capital thanks to its strategic location and for the royal family.This last dynasty had built many ancient relics, pagodas, temples, palaces, royal tombs in such a long time. Although several buildings and temples were ruined in the war time but many of them still remain intact. 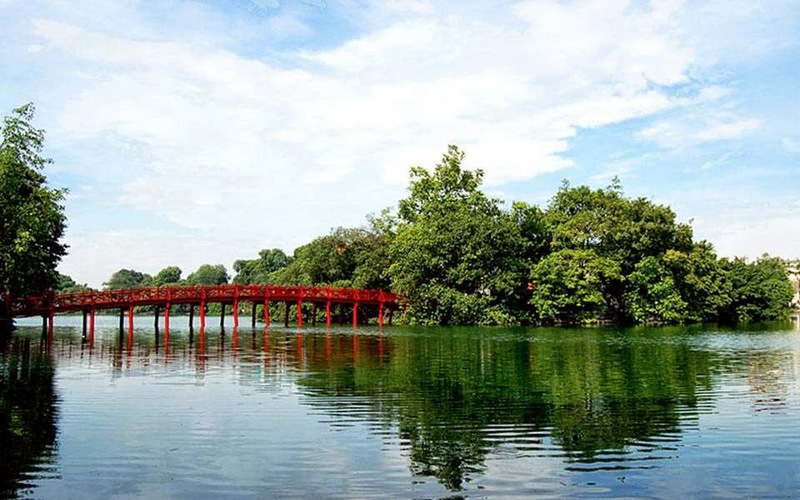 In 1993, Hue Monuments Complex was listed as World Cultural Heritage of Vietnam. Then we hop on motorbike and we are heading to Hue Citadel. We then get off and wander around to visit this mighty complex. 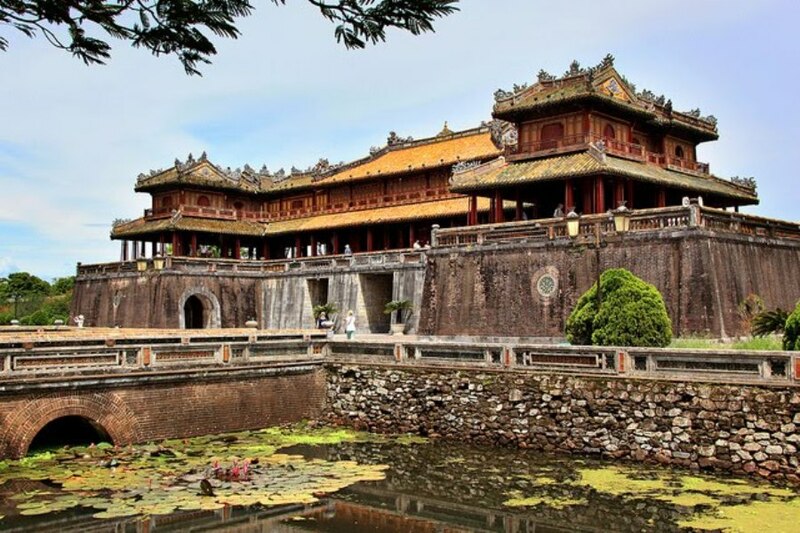 Thus, Hue Citadel was built in 27 years and it consisted of 3 surrounding walls from outside to inside: Hue Citadel, Hue Imperial city and Hue Forbidden city. The Nguyen family had built it as home and living quarter for all family royal members and it played as a denfensive system as well. After passing through Noon Gate, we keep walking and visit Royal Theatre, Truong Sanh Palace, Mieu Temples and Forbidden city. Through story of the guide, you will know more about the former daily activities of the Emperors and his servants. 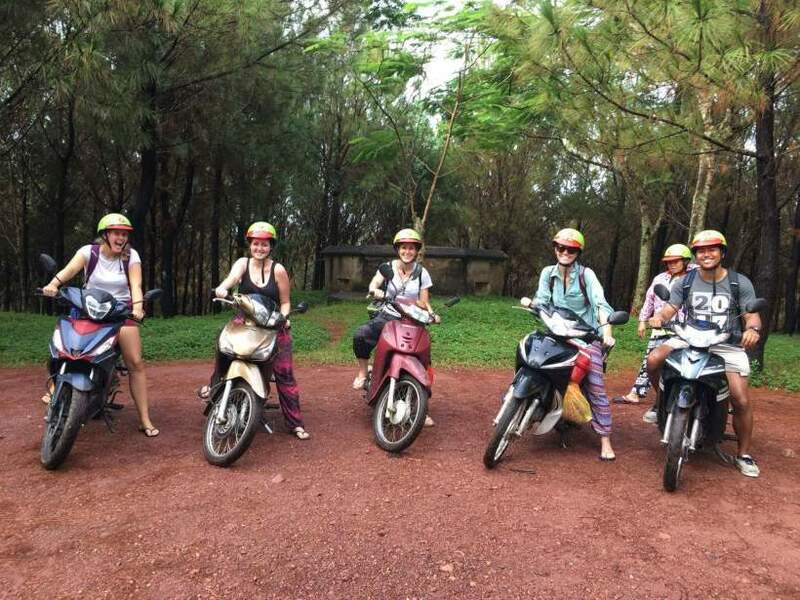 Next, we come back and then get on our motorbikes and then we are going to Thien Mu Pagoda (Pagoda of Heavenly Lady). 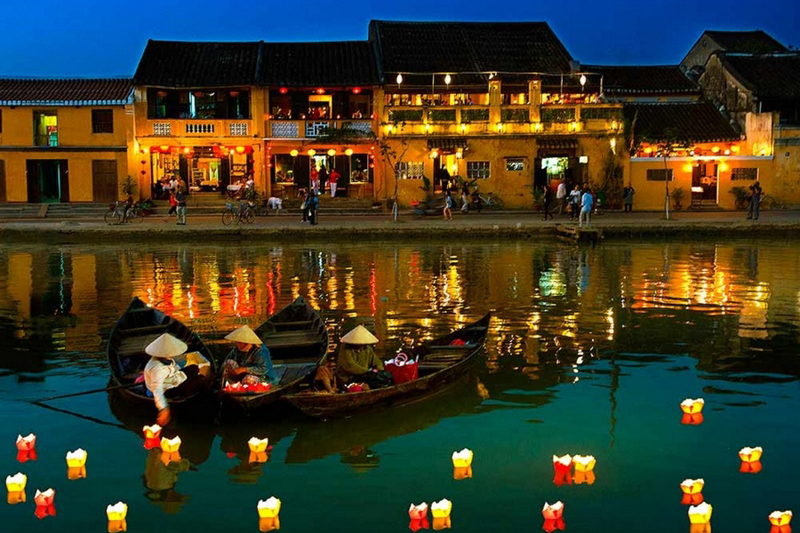 This location is the most sacred place of Hue people who usually come and pray for their family. 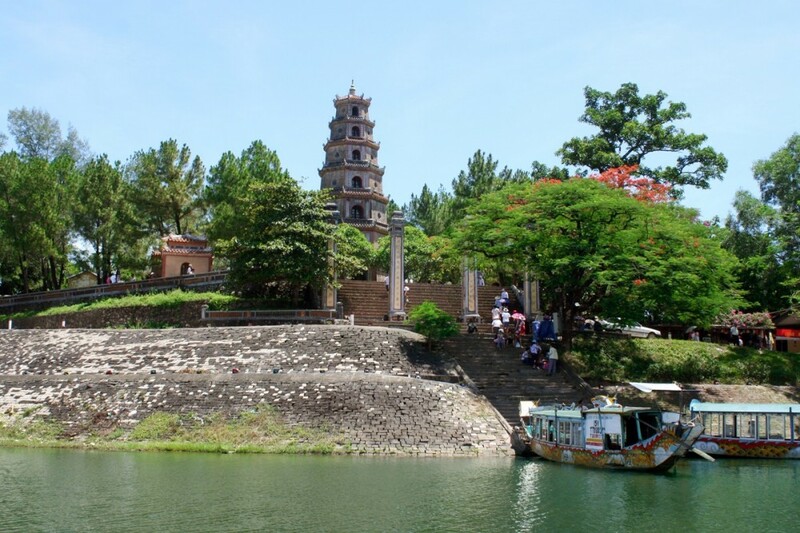 So, Thien Mu pagoda was built by Nguyen Lords in 1601 and on the hill overlooking Perfume river. In the old times, this spot was an ideal place for Nguyen Emperos who came to relax and composed some poems. Located in front is 7-level pagoda while some pavillions on both sides carved with some ancient poems. After the triple gate, Dai Hung sanctuary appears in front where lots of people come and worship. Especially, there is the old car that former Superior Monk Thich Quang Duc used it in 1963 in an act against violation of religious freedom of former Ngo Dinh Diem president. After strolling around to grab many beautiful pictures here, we walk back to the parking lot then we will continue our tour to royal tombs. Our first sightseeing is Tu Duc tomb. 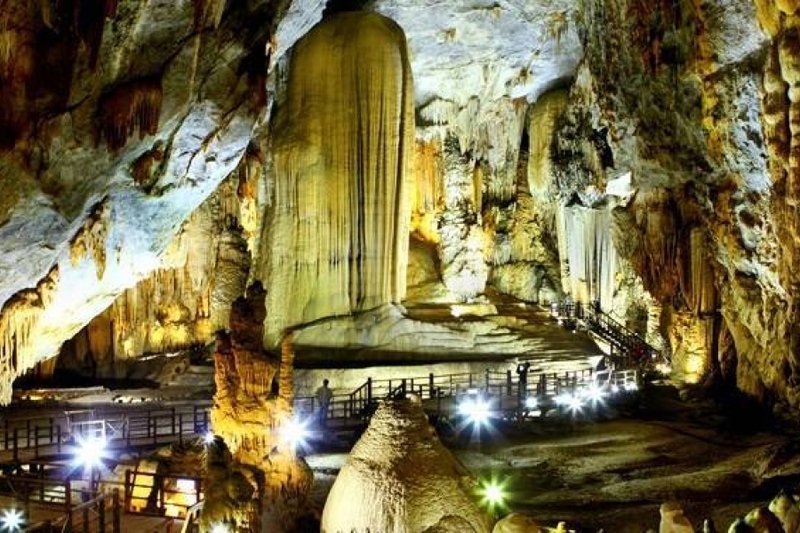 This 12 – hectare spot attracts huge amount of tourists from all over the place due to its coolness, amazing architecture and perfect location. 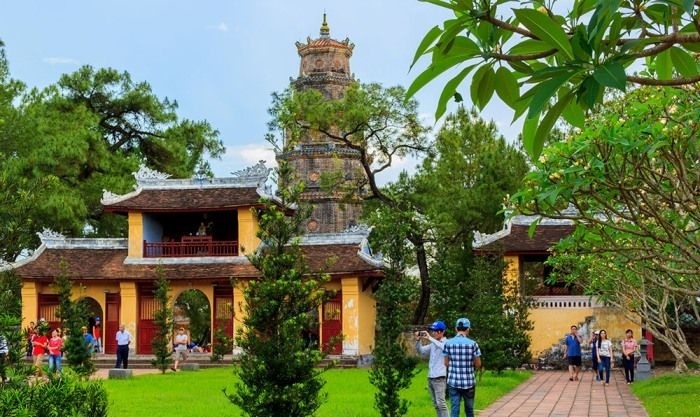 In the old days, Emperor Tu Duc came here many times for his entertainment, relaxation and an escape for the Emperor in the summer time in Hue. The tomb has 2 parts: the temple on one side for the worship of the Emperor and his Empress while the other side plays the role as burial place. On arrival, we will be strolling around and visit Xung Khiem Pavillion, Luu Khiem lotus lake and Khiem Cung Ky in particular to admire the heaviest and biggest stone stele in Vietnam. Carved on it is the Emperor’s Biography tells us all about the historical period of the country and his life. When we finish, we come to the back and pay respect to the Emperor at his tomb. On the way out, we will take you to visit the local handicraft factory made by local people. This is incense and conical hat making family business. They have been doing this job for many years and we come to admire their skillful hands. If you want, you can seat down and demonstrate it by your self. After a short conversation with the family, we hop on our motobikes again to head to our last sightseeing. That is Khai Dinh tomb. This tomb was the last one built in Nguyen Dynasty and it has a combination between European and Asian architectures. From a distance, the tomb looks like a castle in Europe while coming closer to it, you can find some Asian decorations on it such as dragons, lotus flowers, stele, Chinese writings. So, Khai Dinh tomb was built from 1920 to 1931 and lots of efforts, money, workers spent on it to build such an amazing structure. After walking up 127 steps, we reach Khai Thanh Palace where Emperor was buried. We then walk around and visit mosaic architecture of Khai Thanh palace that features the most brilliant and beautiful part for the tomb’s interior design. Eventually, we will go back down to the parking lot. From here, our motorbikes will transfer you back to the hotel. So, our Hue Motorbike Tour will finish here. How interesting Hue Motorbike Tour is? Appearantly, motorbike is the daily means of transport in Vietnam. So, you can have a cool feeling siting in the back and watch the local life of people. By the way, hopping on the back of the bike will give you more freedom and take great moments that you can not find it inside the car. 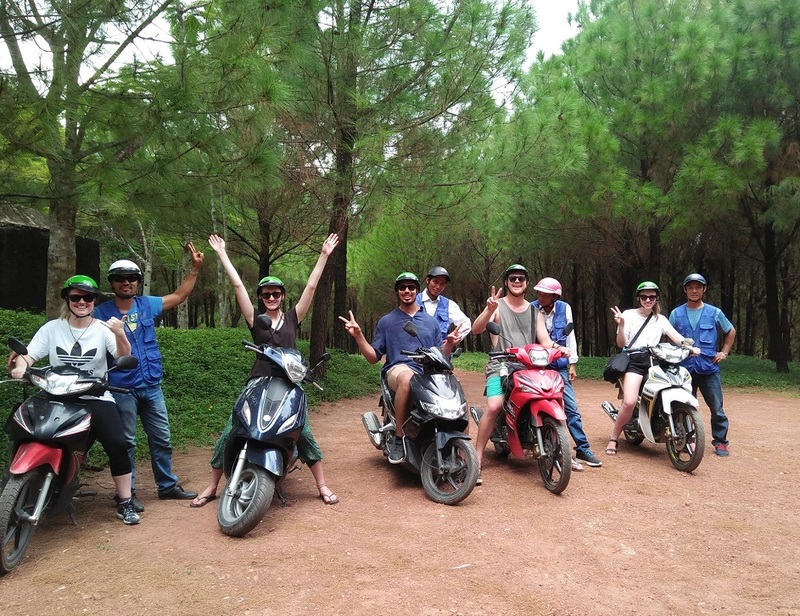 Our bikers are well trained, funny and professional ones will definitely make your trip in Hue a memorable one. 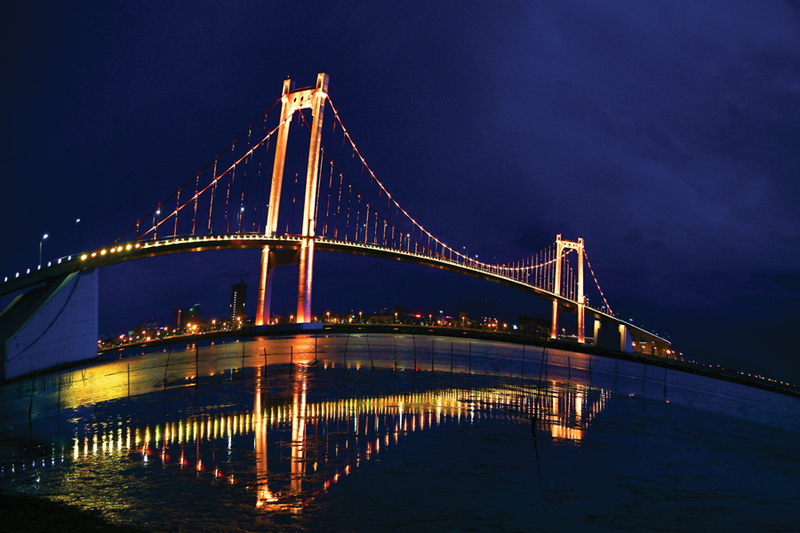 Kindly contact us at premiumvietnamtravel@gmail.com or Whatsapp/Viber at 0084 979613777 for more details. Thank you very much. Hue Citadel and some of temples, tombs require tourists not to wear short skirts and pants when entering the ancient relics. Please wear suitable clothing or bring shoulder covers if needed. How to book Hue Motorbike Tour?